The liver is responsible for several processes in a dog's body. It creates bile to aid digestion and helps rid the body of waste. 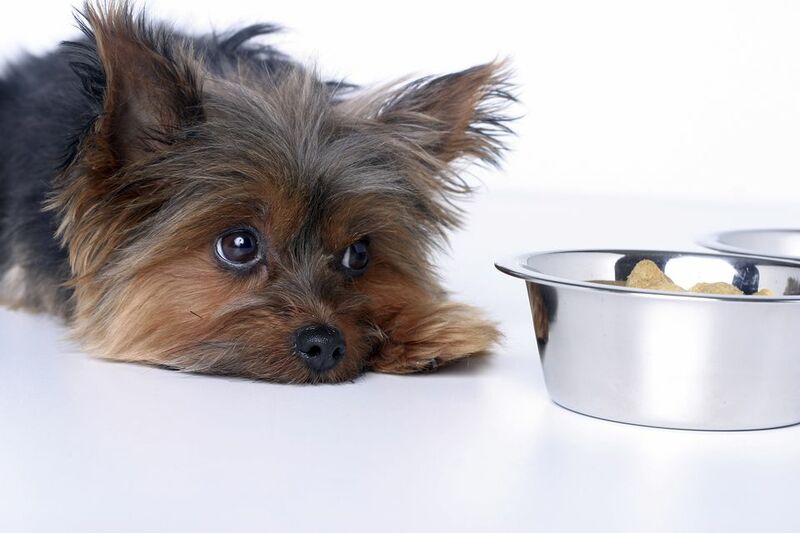 The liver also helps a dog metabolize fat, protein, carbohydrates, vitamins, and minerals. Additionally, the liver filters out the toxins and waste found in foods and medications. A dog with liver disease may have trouble performing some of these biological processes, which can lead to a really sick pet. But some liver problems are more serious than others. Learning how to spot liver issues before they become a full-blown disease can prevent liver damage and get a sick dog back to full health. Liver disease (or acute liver failure) refers to an issue that comes on suddenly, affecting the liver's ability to function, or, in severe cases, leading to necrosis (death of the organ). There are several different types of liver diseases. Bile duct obstruction occurs when the tubes that carry bile from the liver to the gallbladder become blocked. A portosystemic shunt—also called a liver shunt—happens when blood from the stomach, intestines, pancreas, and spleen bypass the liver. And liver tumors (most common in older dogs) can manifest as cancer or an abnormality within the liver itself or its surrounding tissue. Of course, any sign of sickness may be caused by a problem in the body that is unrelated to the liver. A visit to the veterinarian will deduce the issue. Liver disease has many different causes, depending on the type. And each type is unique to a particular form of the illness. Acute liver disease can develop after exposure to a toxic substance or poison, or from exposure to excessive heat. (Don't leave your pet in a hot car!) Some toxins can even cause different organs to fail, leading to secondary liver damage. Bile duct obstruction presents from generalized inflammation, an infection, a tumor, or even a disorder of the muscles that control the organs. A portosystemic shunt may be present at birth or develop due to another liver problem. And chronic active hepatitis can be caused by an infection, by toxins, or by other damage that the liver could not completely recover from. Viral, bacterial, fungal, or parasitic infections can all cause chronic liver problems. Leptospirosis, for instance, is a bacteria found in the urine of rodents and wildlife. This bacteria, when ingested by an unvaccinated dog, can cause major liver damage. If liver disease is suspected, a vet will order lab work to evaluate organ function. Elevated liver enzymes found in the blood—like alanine transaminase (ALT), aspartate transaminase (AST), and alkaline phosphatase (ALP)—can indicate a problem. Additionally, the blood levels of bilirubin (a substance found in bile) and albumin (a protein made by the liver) provide information about overall liver health. And a complete blood count may indicate the presence of an infection or inflammation. Abdominal imaging, like radiographs (X-rays) or an ultrasound, may reveal scar tissue and tumors in or around the liver region. If a tumor is found, your vet may recommend a biopsy to check for the presence of bacteria, cancer cells, and more. The treatment options for acute liver disease depend on the type of toxin and the degree of damage done to the liver. Fluids and electrolytes, oxygen supplementation, and restricted activity are the recommended protocol, while severe cases may benefit from enteric or catheter feeding and a course of medication. Bile duct obstruction can sometimes be remedied with medications like ursodiol. However, for full duct obstruction, surgery is often necessary. Surgery has a high success rate for liver shunt and can be a cure for most dogs. Antibiotics and antiviral medications can be given in the presence of infection. Yet, chronic active hepatitis—not reversible or curable—is often managed with medications and a restricted diet. Treatment for liver tumors or cancer will depend on test results and may involve surgery, chemotherapy, and the administration of medications. Medications and supplements (like Denamarin) can help many dogs with liver disease or damage live for years with minimal symptoms. In some cases, dietary changes are also necessary. The response to treatment depends on the individual dog, but compliance from the owner is a major component to success. Be sure to adhere to your vet's recommendations for medications, diet, and follow-up testing and exams. While keeping your dog healthy involves routine wellness exams, there are other ways to assure the health of its liver. Refrain from feeding your dog fatty foods and make sure to allow for plenty of exercise and outdoor time. Keep all toxic substances—like antifreeze and paint solvents—locked up and out of your dog's reach. And, add supplements like dandelion and apple cider vinegar to your dog's diet for a seasonal "cleanse" that assures optimal liver function.